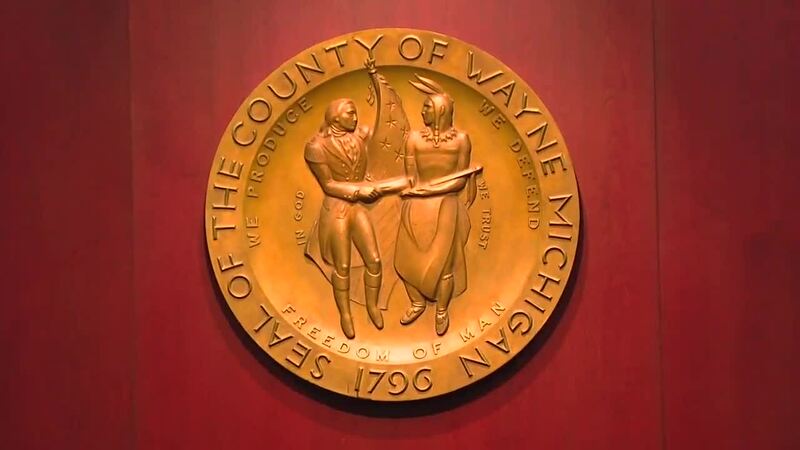 Wayne County government will spend about $1.5 billion of yours this year, and if you'd like to understand how, the county commission just made it a little harder. DETROIT (WXYZ) — Wayne County government will spend about $1.5 billion of yours this year, and if you'd like to understand how, the county commission just made it a little harder. 9 of the county’s 15 commissioners today voted against doing what Oakland and Macomb counties have done for years: recording and broadcasting their public meetings. Even tiny cities have done it dating back decades, but Wayne County—in its state-of-the-art headquarters—has resisted for years, right up to today. “Every vote we take in the dark is a disservice to the public,” said Commissioner Diane Webb, who sponsored a resolution mandating broadcasting meetings. Past decisions made by the county commission have proven to be costly to taxpayers. The Wayne County jail project, approved by the commission during the Robert Ficano era, wasted millions in public money and ultimately had to be torn down. County investments that later went south received the approval of the commission, too. When a handful of commissioners last month first asked to start broadcasting the meetings, there was plenty of resistance. “I’m not even prepared to vote on something like this today,” said Commissioner Terry Marecki Thursday, who said she needed more time to consider the resolution. “I think this is something we need to discuss further,” said Commissioner Martha Scott, who also voted no. “I don’t think this is the right time,” said Commissioner Ilona Varga. Varga said she’s supportive of the concept of broadcasting meetings, but wants to study the issue further first. “So you want us to go and get somebody off the street?” Varga said. “Is that how you do business around here?” Jones asked. Commissioner Terry Marecki wasn't sold on the necessity of broadcasting commission meetings, saying she’s already transparent. “I’m very open with my constituents. I have a newsletter, I have Facebook pages,” she said. Chairwoman Alisha Bell promised cameras will come eventually, but probably not soon enough to those who pushed the measure today. “Within a year, a year at the absolute latest,” Bell said.